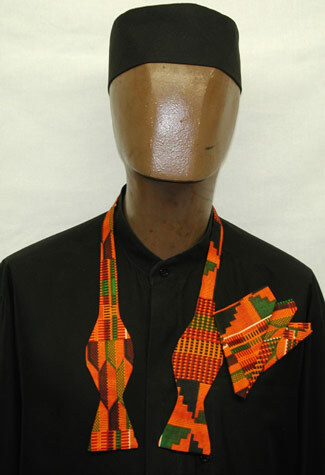 Kente self tie Bowtie with a matching pocket handky. Available in all kente fabric colors (One size fits all with adjustable sizes). Perfect for weddings and formal occasions.